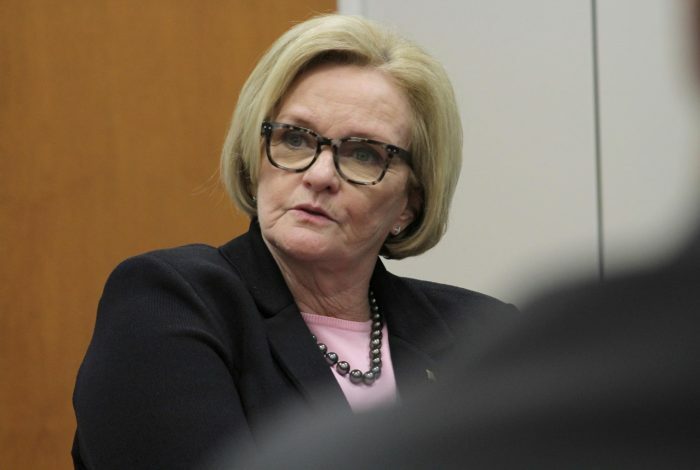 US Senator Claire McCaskill appears to be in a dead heat with her Republican challenger, Missouri Attorney General Josh Hawley. Photo credit: Senator Claire McCaskill / Flickr (CC BY-ND 2.0). Recent court decisions, coupled with inaccurate mailers and problems with absentee ballots, may be causing widespread confusion as Missourians vote today in a very close Senate race. Democrat Claire McCaskill is running for reelection in a state President Donald Trump won by 18.5 points in 2016. RealClearPolitics rates the race as a tossup and the RCP polling average has her Republican challenger, Missouri Attorney General Josh Hawley, ahead by just two points. FiveThirtyEight’s Senate model gives McCaskill a roughly 3 in 5 chance of winning reelection. Substantive ballot measures are also in play. Missourians are being asked if they want to legalize marijuana for medical purposes and raise the state minimum wage. But the integrity of those impending results might be in jeopardy. 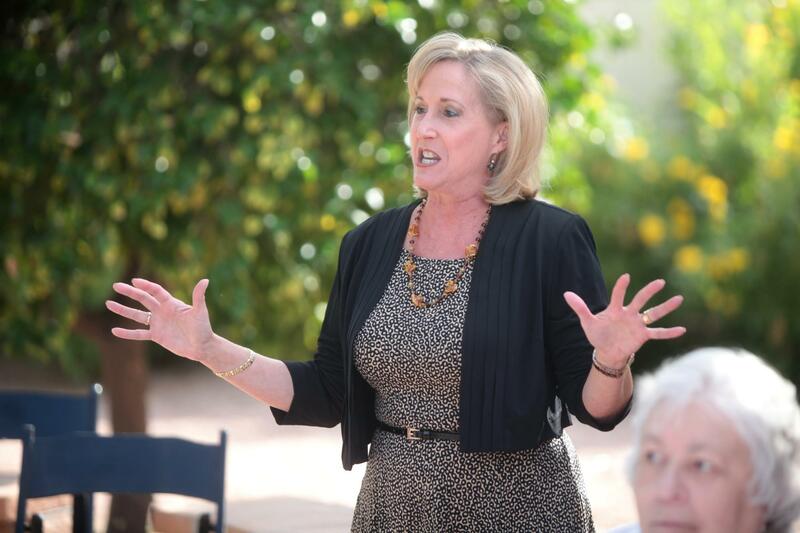 Republican Congresswoman Ann Wagner of Missouri is in a tight race with Democratic challenger Cort VanOstran. A new voter ID law was passed in 2016 after voters approved an amendment to the state constitution permitting a photo ID requirement. Voters lacking acceptable identification must now sign a statement swearing they are who they claim to be before they can vote. The question is whether the law can legally be enforced. Priorities USA, a liberal advocacy group, sued the state, charging that the new law could jeopardize the voting rights of 300,000 Missourians who lacked the state-approved identification. Last month, a Missouri judge issued a permanent injunction blocking the portion of the law that required voters to sign affidavits. This essentially prevents local election authorities from enforcing it. The judge also ruled that advertising surrounding the law was misleading because it implied that a photo ID was the only acceptable form of ID. Hawley, the attorney general and GOP Senate candidate, asked the Missouri Supreme Court to grant a stay, which would have blocked the judge’s ruling, but the court declined to do so. Also dogging the photo ID requirement is a lawsuit filed in 2017 by the ACLU on behalf of the NAACP, the Advancement Project and the League of Women Voters. The suit alleges that lawmakers didn’t budget enough money to provide free IDs to voters and educate people about the law, as the law itself requires. Last week, a three-judge appellate court panel reversed a lower court ruling and allowed the legal challenge to continue. The voter ID law was in place for Missouri’s primary elections in August. According to Missouri Secretary of State Jay Ashcroft, a Republican, the signed statements were meant to help the state reach out to voters without ID and help them acquire one. However, the last-minute ruling could be causing some confusion for poll workers, according to Eric Fey, Democratic Director of Elections in St. Louis County. The literature sent to polling places had to be changed very late in the process, and some poll workers might not be up to speed on the latest decision. Even so, Fey said, he doesn’t expect anyone who is registered to vote to be turned away. Acceptable forms of ID on Election Day include a Missouri driver’s license or non-driver’s license, passport, military ID, voter registration card, student ID from a Missouri college, utility bill, bank statement, government check, paycheck, or other government document showing name and address. If voters have no ID, they can still cast a provisional ballot. In that case, they can bring a valid driver’s or non-driver’s license, passport, or military ID back to the polling place at any point during voting hours to have their vote counted. If they are unable to do so, their vote will still be counted if the signature on the ballot matches that on the voter registry. In an internal snafu, the Missouri Republican Party sent out 10,000 mailers as part of a get-out-the-vote effort that included incorrect information, the party’s executive director told the Kansas City Star in October. The mailers claimed that mail-in ballots were due by 5:00 PM on October 20. However, they are actually due on Election Day. Corrected mailers were to be sent out, Executive Director Ray Bozarth told the Star, but it is possible some voters might believe they had missed their chance to vote. Additionally, 253 voters received letters from the St. Louis County Board of Elections incorrectly claiming they were ineligible to vote, the St. Louis Post-Dispatch reported Friday. The board sent letters to voters whose registration forms had been mailed too late, but one election worker didn’t realize that forms postmarked or signed on the due date, October 10, should be counted. Of the voters contacted in error, 153 got in touch with the board and were added to voter rolls, Eric Fey told the Post-Dispatch. But that leaves 100 voters who may still falsely believe they’re unable to vote. Anyone who received a letter in error should call the board of elections at (314) 615-1800. Proposition 2 would raise the minimum wage in Missouri to $12 an hour incrementally over the next five years. Marijuana legalization is also at stake. Two different amendments to the Missouri constitution are on the ballot; both would legalize marijuana for medical purposes, but each would tax the drug at a different rate and use the revenue for different purposes. There is also Proposition C, which would institute its own tax rate and spending designation but not amend the state constitution. Perhaps most significantly, Missourians are voting on a constitutional amendment which could dramatically shift the state legislative map. Amendment 1, known as “Clean Missouri,” would ban lobbyist gifts of more than $5 and establish campaign finance limits. Most important, it would place the drawing of state legislative districts in the hands of an independent demographer and establishes additional criteria that districts must meet. The independent demographer would be selected by the majority and minority leaders from a list of ten names generated by the state auditor. State auditor is also on the ballot, and with the next potential redrawing of the map coming in 2020, the race carries an added weight. Nicole Galloway, the incumbent, is Missouri’s only state-level Democrat in a statewide-elected office. Galloway herself wasn’t actually elected; she was appointed by Democratic Gov. Jay Nixon in 2015, after her predecessor died in office. Her leading opponent is Republican Saundra McDowell.